Iron-forger's works alongside the Camino de Santiago at Ayegui depicts pilgrims. Christian frontier, especially in the 12th and 13th centuries, when Cistercian monks arrived to establish monasteries and plant vineyards all around northern Spain. The province still reflects its deep historical roots by calling itself, for promotional purposes at least, El Reyno de Navarra, the Kingdom of Navarra, even though the last Navarrese king was conquered out of existence centuries ago. Officially, Navarra is one of Spain's 17 comunidades, the La Comunidad Foral de Navarra, a title that bestows the privilege of retaining many of the province’s own unique set of fueros, or rights, some of them dating to when kings did rule. The lovely 12th-Century bridge across the Arga River in the major Camino de Santiago town of Puente de la Reina. one of only five such Vinos de Pago in Spain (the other four are in Castilla-La Mancha). Navarra wine laws were recently changed to allow the creation of this (and presumably other pagos, plus a new Vinos de la Tierra classification, as exists in many other parts of Spain). opportunity to demonstrate the quality potential of its geographic conditions and place itself among the top denoninaciones de origen in Spain; the new wine laws will provide us with a unique chance to put our best foot forward." Among those bodegas that have most convincingly proved Navarra’s mettle are Artazu and Señorío de Sarría for their exceptional old vines Garnacha; Chivite, which turns out superb wines in all four categories; Guelbenzu for its robust, full-flavored Valle de Quieles reds from southern Navarra and northwestern Aragón; Magaña, which has produced exceptional Merlots and Merlot/Cabernet blends for nearly three decades; Castillo de Monjardín for its Chardonnay, late harvest Chardonnay and Merlot; Otazu, an old estate winery with an impressive facelift and a determination to make some of the best wines in Navarra; Muruzabal, which made the legendary 1995 Chardonnay; Ochoa for its full range of very good wines; and Ondarre, whose surprisingly good reds are from the area of Navarra permitted to use the Rioja designation. Sprawling vineyard on film producer Iñaki Nuñez’s new wine estate in southern Navarra. wine-rich region has been blunted by numerous producers who are making wines for perceived market tastes, too many of which were established over the past 10 to 20 years on subsidies from the government of Navarra (along with loans from Navarrese banks), from the European Union (so much for "drying up the European wine lake.") and the principal money from many investors new to the wine trade. Much of this money still needs to be repaid; so Navarra is in the midst of an economic epoch that many have described as a general wine crisis. Rumours abound, often backed by actual fact, that many new-to-wine bodega backers, once bent on climbing a wine vine to social pinnacles that mere industry would not take them, are frantically trying to unload (especially in Navarra, Ribera del Duero and the super-hot country Mediterranean areas) their suddenly way too expensive hobby/societal enhancement toys. One wonders why some of them did not heed the old California wine country adage, "If you want to make a small fortune from wine, start with a large fortune." During this period of cash infusions, wine cooperatives, which existed in nearly every wine village in Navarra and generally produced poor to mediocre wines, were converted into privately owned wineries. New wineries, a number of them architectural showcases, including film producer Iñaki Nuñez’s huge white faux castle keep (when Navarra has several distinguished real castles! ), were built and filled with gleaming stainless steel tanks and, of course, the obligatory spanking-new French and American oak 225-liter barricas, which made aging cellars smell like sawmills. These newly minted showcase properties seem to be imitating producers from Australia, Napa Valley, Priorat and the super non-DO Vinos de la Tierra crowd by making wines in a style perceived to be "what the market is asking for." The result is far too many bad copies of bad copies of overripe fruit bombs lashed with harsh new oak and sporting enough alcohol to fell a Basque wood chopper. Were this not bad enough, in what seems a desperate effort to become profitable, many producers are pricing these brutes far, far above their quality levels. Andrés Proensa, publisher of the prestigious bimonthly wine magazine PlanetaVino and the annual Guía Proensa, sums up the situation: "The D.O. Navarra, without a doubt, has the necessary conditions to be a prestigious winemaking region and a good fistful of high-class wines bring their contribution towards that [end.] But, now is not the time for (mediocre) wines asking high prices to get attention, but for wines that don't hurt your pocket and still satisfy your palate." One of the most troublesome things in Navarra’s recent viticultural history is that thousands of Navarra's old goblet-pruned garnacho vines (the Navarrese word for the garnacha,) were ripped out and replaced with more highly productive tempranillo, cabernet sauvignon and merlot vines. Garnacha, which is native to Navarra and Aragón and was brought to France during the epoque of the Popes of Avignon, was considered an inferior grape, best for making rosados (Go figure! Some of the best rosés in the world!) and, if left to reach higher alcohol levels, for beefing up red wines. More importantly, its lowly status (a big mistake, as some of the best wines of Priorat, which often contain 50% garnacha have proved) commanded a far lesser price than tempranillo, cabernet sauvignon and merlot. So in the rush to go "modern," change Navarra’s image and turn a profit as rapidly as possible, this wonderful native garnacha variety, much of which grew of old vines vineyards, was sacrificed with thousands of acres ripped up and replanted with the aforementioned trio. 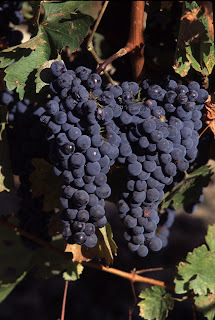 Ironically, neighboring Aragón, where it is rumored that a lot of garnacha, which still exists there in old vines plantations in profusion, finds its way into Navarra, has become a huge success in both national and export markets (the U. S. in particular) and has established a strong identity for the grape. The positive face of all this it is that, unlike in many Spanish Mediterranean winegrowing regions, the non-native cabernet sauvignon and merlot (as well as chardonnay) do well in Navarra when yields are kept to reasonable levels (which Chivite, Magaña, Ochoa and others have proved). Strangely enough, given the success of Chardonnays from several producers, pinot noir is not permitted here, though based on what little of it I have tasted (from an outlawed plantation), I suspect it could be promising, since even Penedès. In addition to the usually insipid native viura (the white grape "preferred" by the Navarra D.O.s regulatory council), chardonnay, garnacha blanca, malvasia and moscatel de grano menudo (small berry moscatel) are merely "authorized." Improbably, among the red grapes, the native tempranillo and graciano, along with cabernet sauvignon, are the preferred grapes, while the excellent native garnacha tinto, merlot (also sometimes excellent here) and mazuelo (carignane) are also just authorized by the Navarra D. O. , as opposed to being among the officially preferred varieties. The vines of the Navarra D. O. comprise more than 46,500 acres and are spread over five different subzones: Baja Montaña (northeastern Navarra), Ribera Alta (around the marvelous medieval castle village of Olite), Ribera Baja (more or less paralleling La Rioja Baja on the northeastern side of the Ebro River), Tierra Estella (in middle western Navarra, around the historic town of Estella and other key pilgrimage stops on the Camino de Santiago) and Valdizarbe (the smallest of the five, but a promising, temperate wine area that extends mostly southwest from Pamplona, the capital). Some dozen wineries around such towns as Viana, Mendavia, Andosilla and Azagra north of the Ebro River in western Navarra are allowed to be classified as DO La Rioja and are considered Rioja Baja wines. Several wineries of note, including Barón de Ley, Bagordi, Finca Manzanos, Ondarre and Rioja Vega and, are located here. In the VT Ribera del Quieles, in southern Navarra bordering Aragón, is Guelbenzu, which is based in Cascante and makes wines that have received international acclaim.Though the name Navarra on a bottle is no more a true quality guarantee than any place name, no matter how lofty, the best producers are making some truly satisfying, very well-made wines here. Many possess attributes such balance, drinkability and moderate alcohol levels that a plethora of wines from regions such as Priorat, Ribera del Duero, Toro and Jumilla simply don’t have, although there is an alarming tendency among copycat wineries in Navarra to produce high-priced, high-alcohol, monster modernista wines in an attempt to copy the perceived successes of the aforementioned. 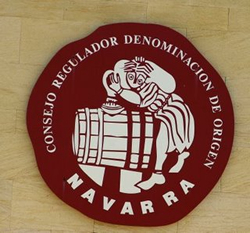 However, many of the top Navarra bodegas keep alcohol levels in check (under 14 percent, often lower), temper their use of new oak and don't traffic in overripe fruit. The resulting wines are well balanced with good acid levels; are fruity, not jammy; and finish with a clarity and length on the palate that was once expected from good Rioja, cru classe Bordeaux and the finest California Cabs up until the late 1990s (when many wineries went over to the dark side). Sonia Olana says, "Navarra’s terruño (soils, climate, altitude, sense of place) historically has been recognized, now (modern) techniques and the enthusiastic desire of new enologists are creating magic in our new wines." Well, some of them anyway.